PLEASE NOTE: This unit expired 8/2017, but prodibio has tested their products that were over 5 years old and were excellent with zero degradation. 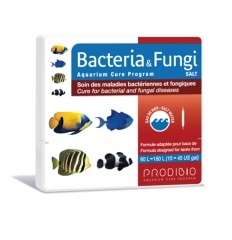 Bacteria_&_Fungi_Salt is a drug intended for ornamental fish, it should not be used to fish for human consumption. When should Bacteria_&_Fungi_Salt be used ? How to use Bacteria_&_Fungi_Salt ? 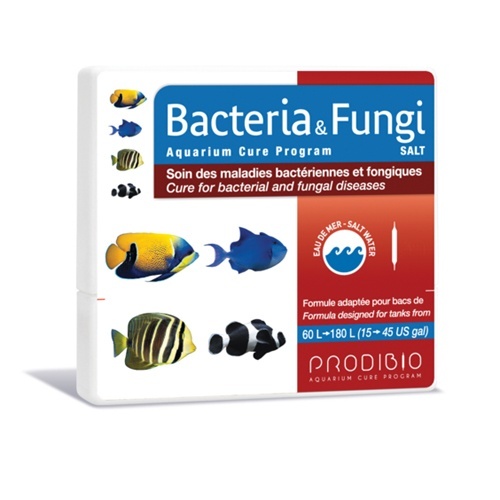 Invertebrates such as corals, snails, anemones and shrimps cannot withstand Bacteria & Fungi Salt, and must be removed from the aquarium before beginning the treatment.